It’s perhaps inherently obvious that running a small business involves risk. After all, most entrepreneurs chose to leave the comfort of a full-time job to start a new enterprise, so clearly they understand entrepreneurial risk intuitively. However, one of the challenges of small business ownership is the need to consider and proactively address risks that go beyond the entrepreneurial leap. This can be challenging for the small business owner because he or she inherently believes in the likelihood of a positive outcome from risk (that’s the core motivation that allows someone to walk away from perceived stability and toward risk and entrepreneurial opportunity). This is perhaps the most obvious risk you face, since cash flow is challenging for any small business to protect at all times, especially as bills pile up and customers might fall behind on paying bills. The best way to manage this risk is to be careful with debt, refinance where appropriate, reduce overhead where you can, and stay on top of customer collections. Remember, the work you do for a customer is useless if they won’t you on time for it. 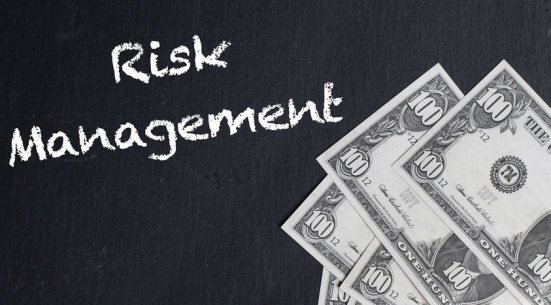 While financial risk is the most obvious form of risk you stare down every day, liability risk is the one that we tend to first associate with the term “risk management” since we use insurance to protect ourselves from various liabilities. The real question is whether you have the right insurance and adequate coverage to protect against the most likely risks to your business. From contractual disputes to employee termination lawsuits and from property damage to customer injuries, liabilities run the gamut. What you should know is that each kind of business can develop a tailored liability strategy unique to their sector. For example, retail stores who sell food and beverages can implement a slip-and-fall protection strategy that may involve training, tracking software, specific spill response procedures and more. Every business needs specific insurance policies, coverages and riders as well as specific legal advice and support, all designed to minimize liabilities specific to their size, industry and location. This was historically limited to customer satisfaction or perhaps a media or public relations meltdown — both serious considerations but the first, relatively limited in scope and the latter relatively rare. Until now. Today, all bets are off. Remember Amy’s Bakery? Of course you do. You remember because we all remember when a small business’ reputation melts down. Today, one hot-button political issue or one very irate customer review can send your business into a tailspin. The best response to this is to own the dialogue and stay active and tuned in. Get on social media, check your reviews, respond to people who comment about your business, and be aware that your volunteer work for that political party’s organizing committee is public information, so you should be prepared if someone digs it up to try and create controversy in today’s white-hot political environment. Huge companies are being hacked nearly every day, yet small business owners tend to think it can’t affect them. The opposite is actually the truth: Large businesses make the news because they’re household brands and no one can believe that they’re that vulnerable to hacks. In the meantime, hundreds of small businesses per day are hacked, exposed or otherwise damaged by online attacks. And then there’s in-person security to boot — the risk of theft or loss, the risk of dangerous behavior by a disgruntled employee, the risk of staff carelessness resulting in exposure of critical materials or equipment to potential loss. For these risks, the best response is a security audit that involves both physical and digital analysis so you can improve best practices and strengthen protocols promptly. It happens to others, and it can happen to you. Natural disasters, terrorism, a building fire or other cataclysm can drive your business over the edge in surprisingly little time. A decade ago, a UPS labor strike put hundreds of small pack-and-ship stores out of business and that strike only lasted a matter of weeks. In addition, consider how dependent your company is on suppliers, vendors and service providers. The hurricane in Puerto Rico brought production of many key pharmaceutical medications to a standstill. The 2011 Fukushima earthquake in Japan instantly put the aerospace and transportation industries a year or more behind since critical component supplier plants were in the affected zone. The key to overcoming business interruption risk begins with having effective insurance coverage, and then looking both internally and externally to identify opportunities to mitigate risk. Some companies set up a disaster recovery contract to help with this, others rent a secondary office (or sign an agreement providing access to a secondary location in the event of an emergency) to protect their operations. Diversifying your suppliers and their geographic locations can also help immensely with this. These five forms of risk represent the core factors you need to consider, plan for and work to protect against as you develop a comprehensive risk management strategy for your business. Take the time today to speak with your small business accountant, business attorney and your insurance carriers to gain the insights you need to ensure your business is healthy and thriving well into the future.